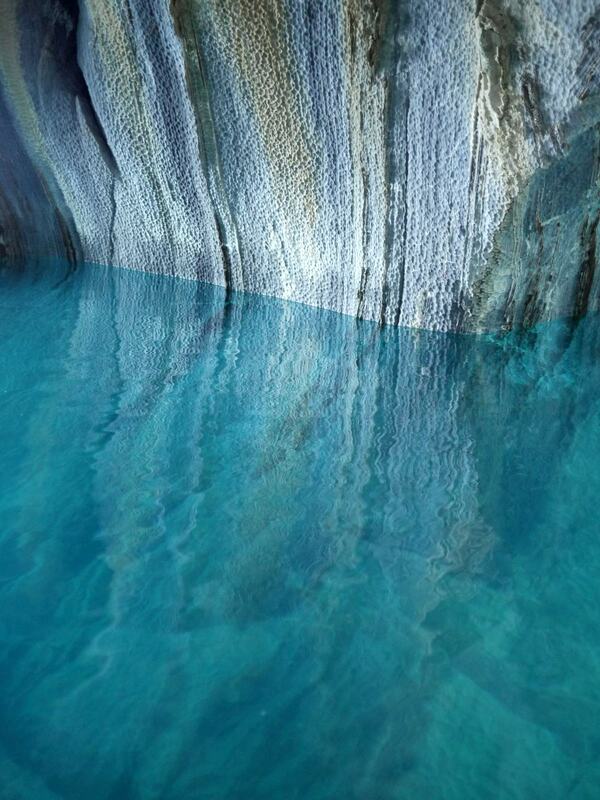 This spectacular Marble Cathedral is set in the General Carrera lake in Chile’s Patagonia – the second largest freshwater lake in South America. 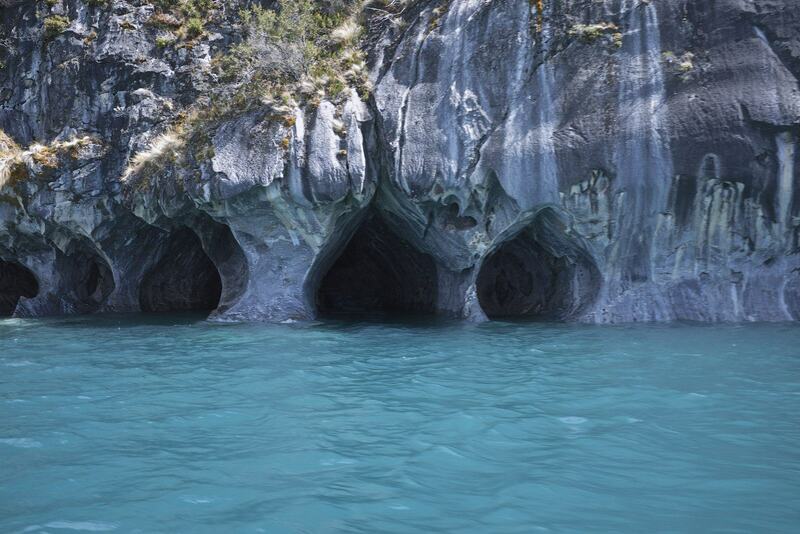 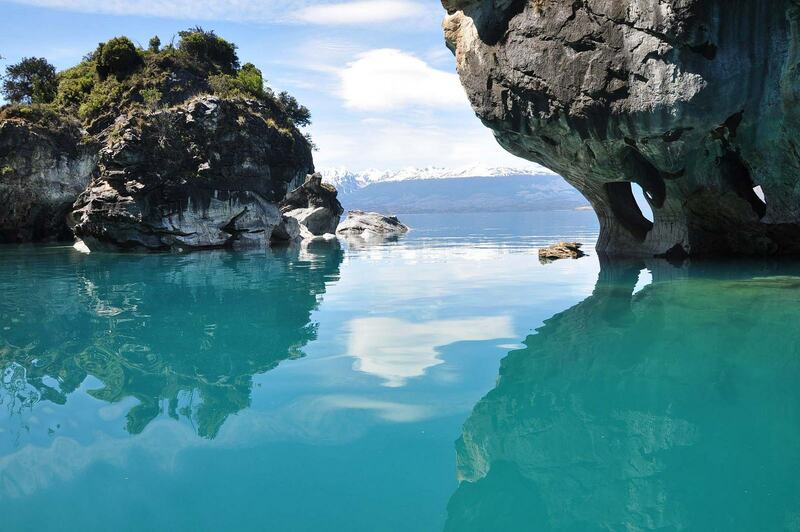 The caves are on the Chilean side of the lake. 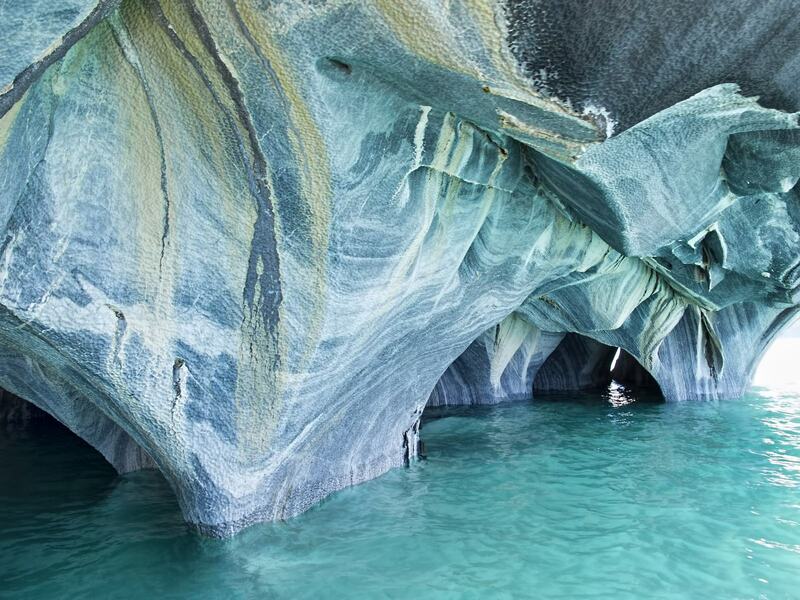 The Cathedral and the Caves are a unique geological formation featuring a group of caverns, tunnels and pillars created in monoliths of marble and formed by waves over the last 6,000 years. 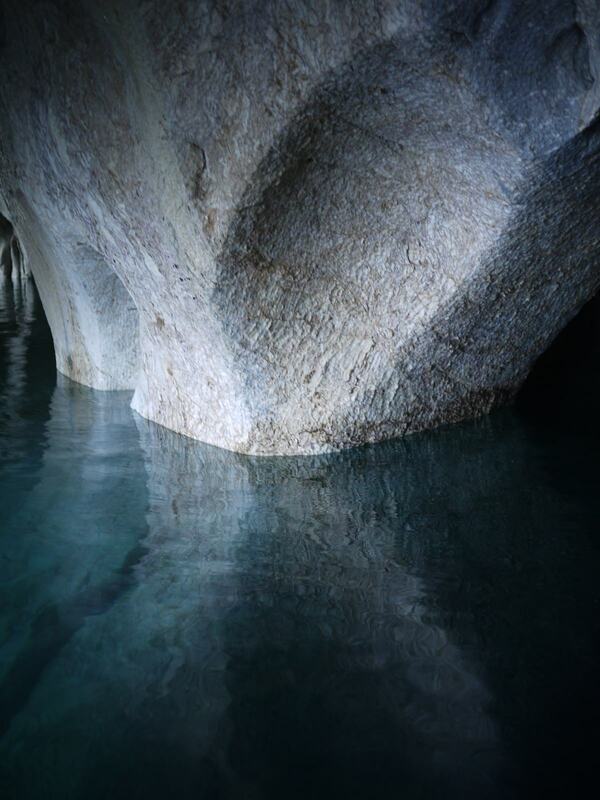 The level of water in the caves is constantly changing, which also makes it look every time a new way. 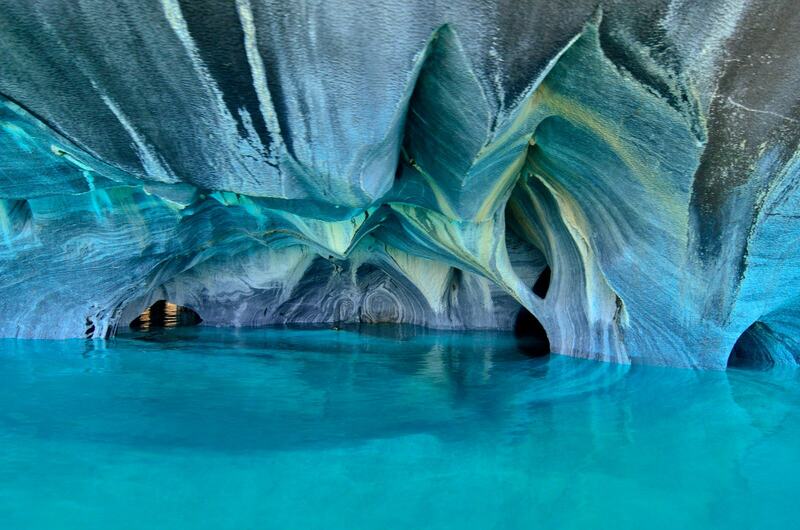 This Caves attract a lot of tourists from the different corners of the globe. 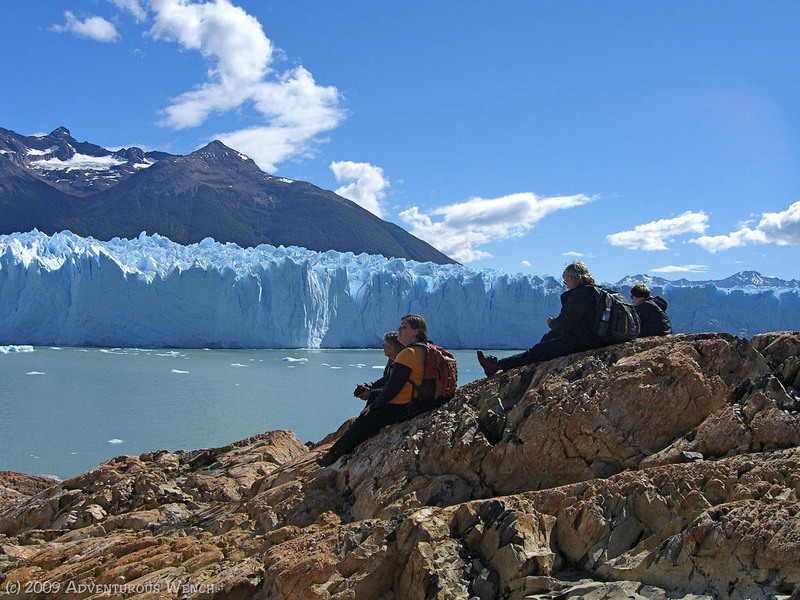 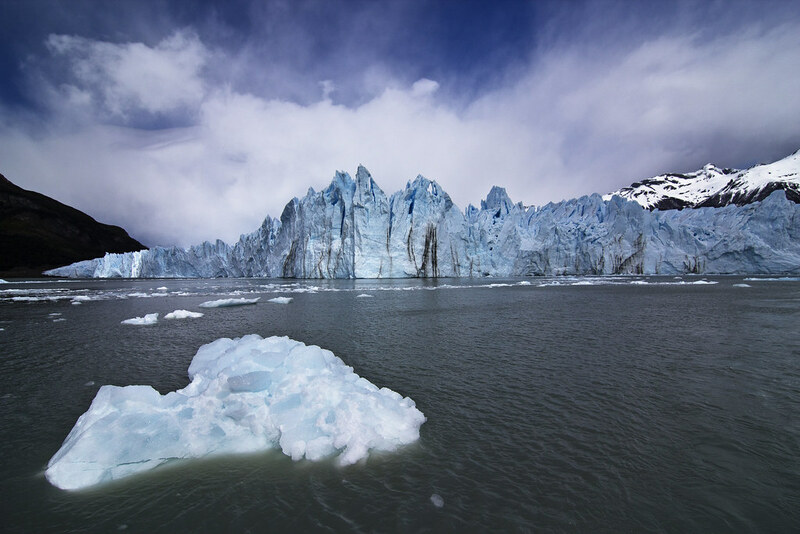 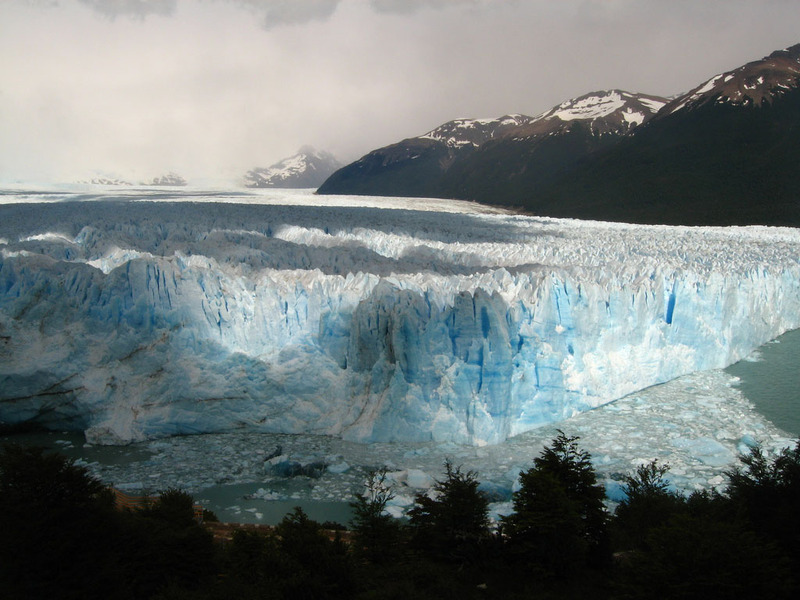 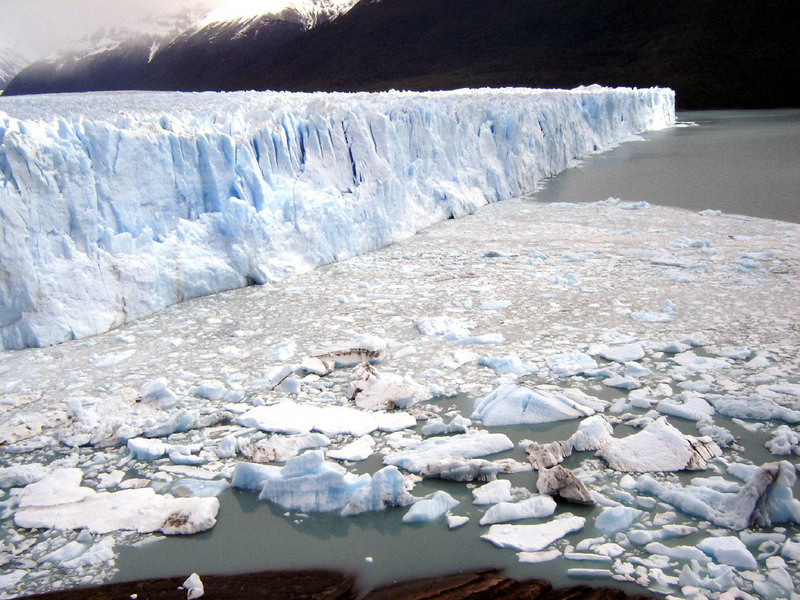 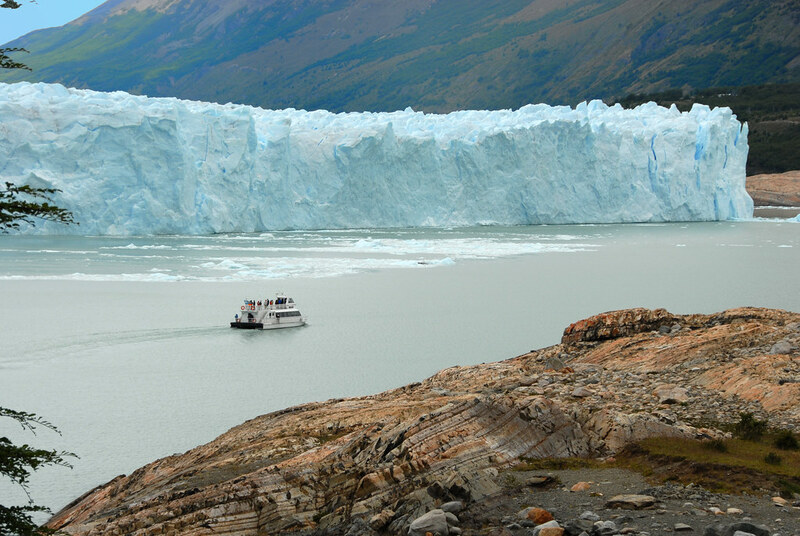 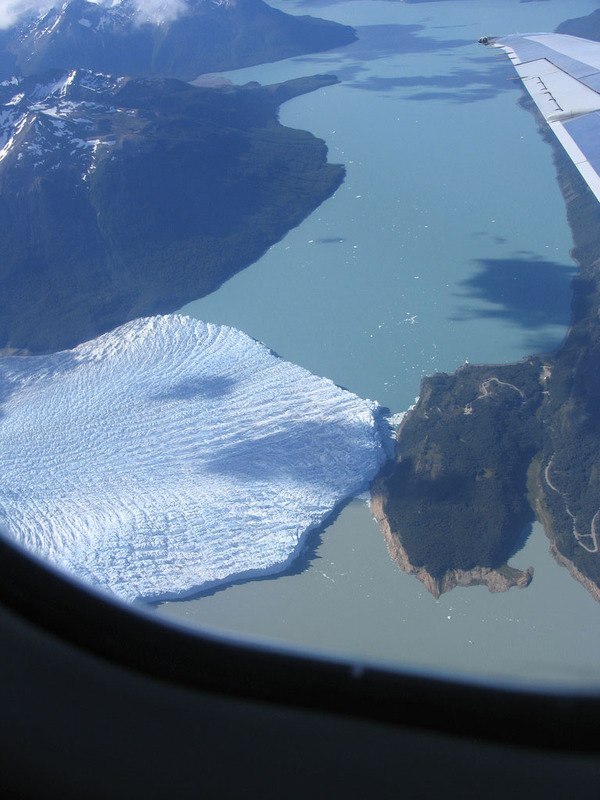 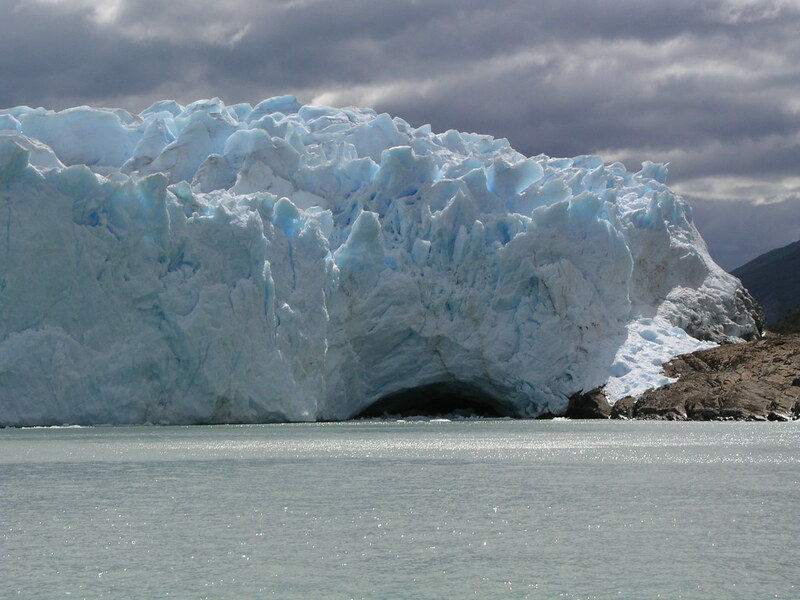 Perito Moreno is one of the most visited tourist attractions in the Argentinean Patagonia. 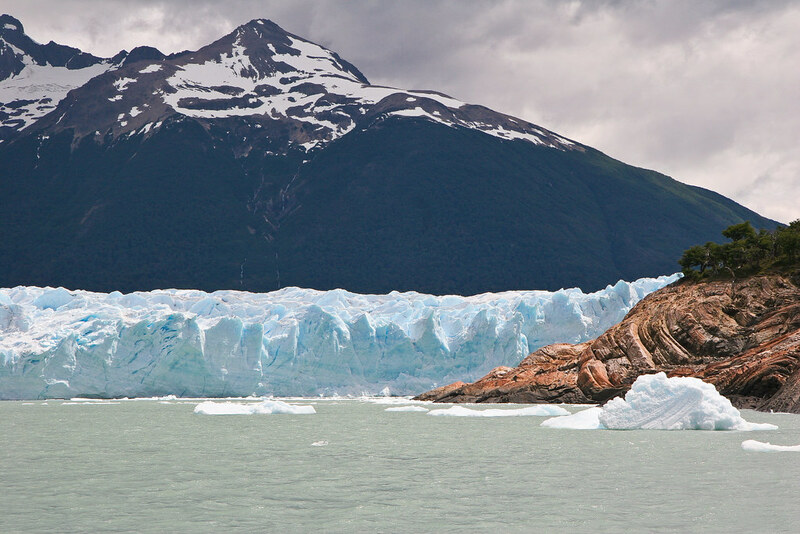 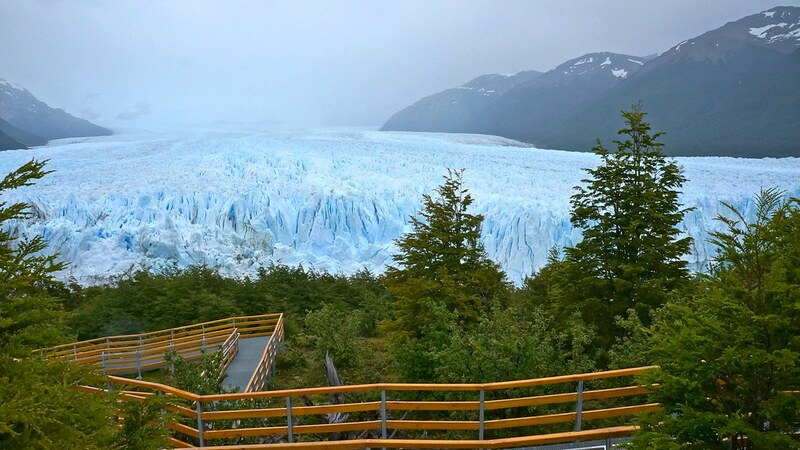 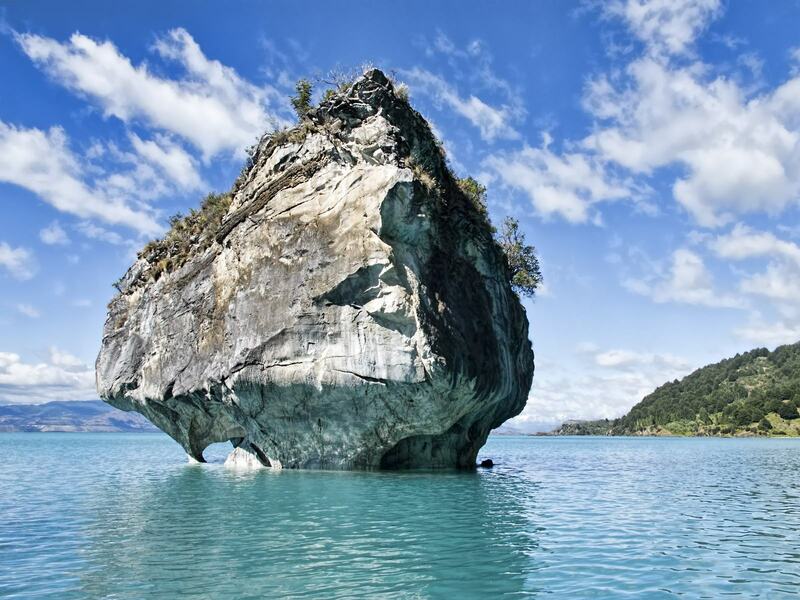 Glacier is located in the Los Glaciares National Park, Argentina. 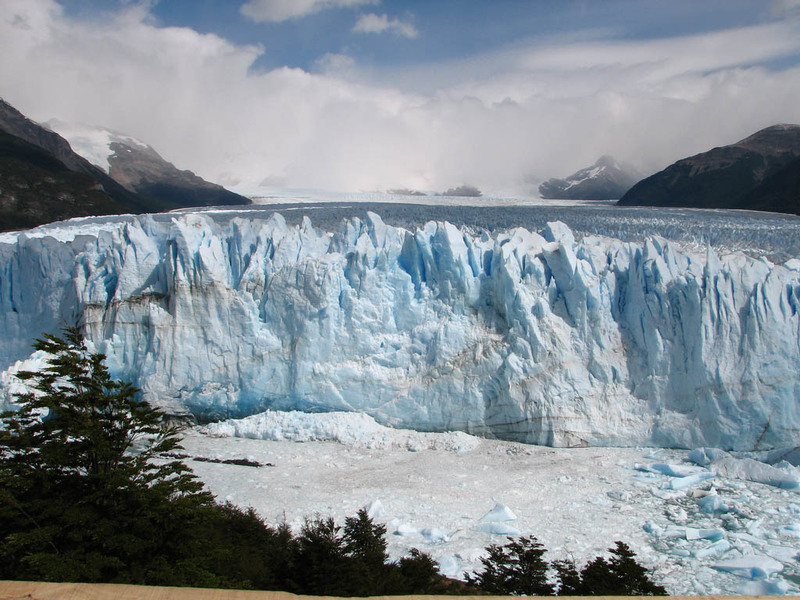 It is one of 48 glaciers located in the Andes, near the limits between Santa Cruz province and the Chilean frontier. 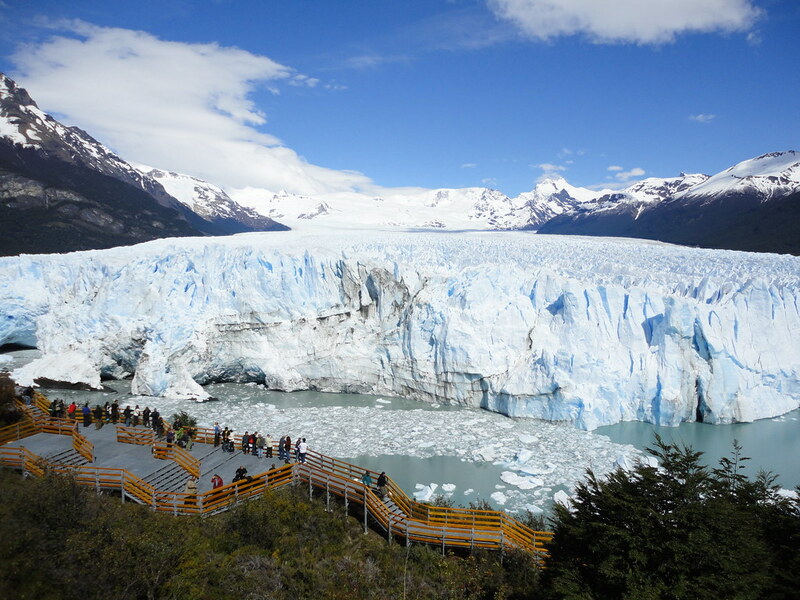 The glacier is 97 square miles (250 sq km) and measures 19 miles (30 km) in length. 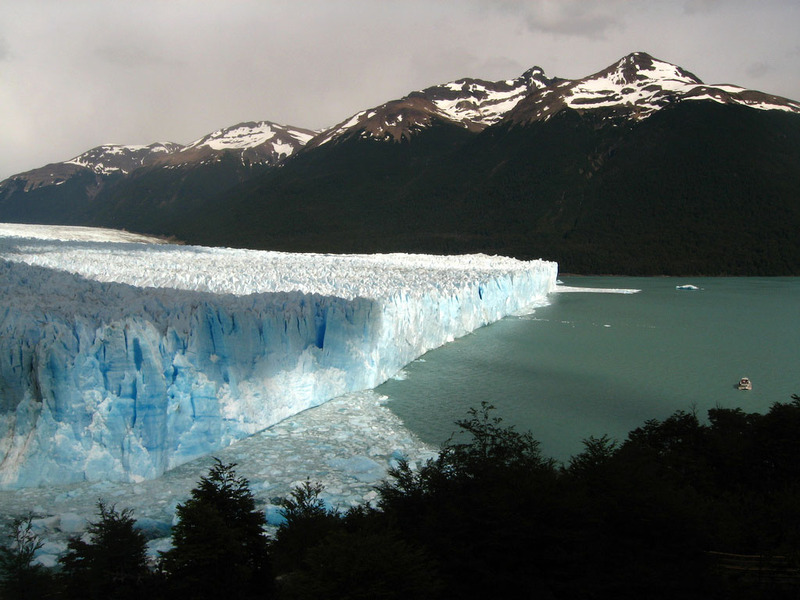 It measures 3 miles (5 km) wide with a total ice depth of 558 feet (170 m). 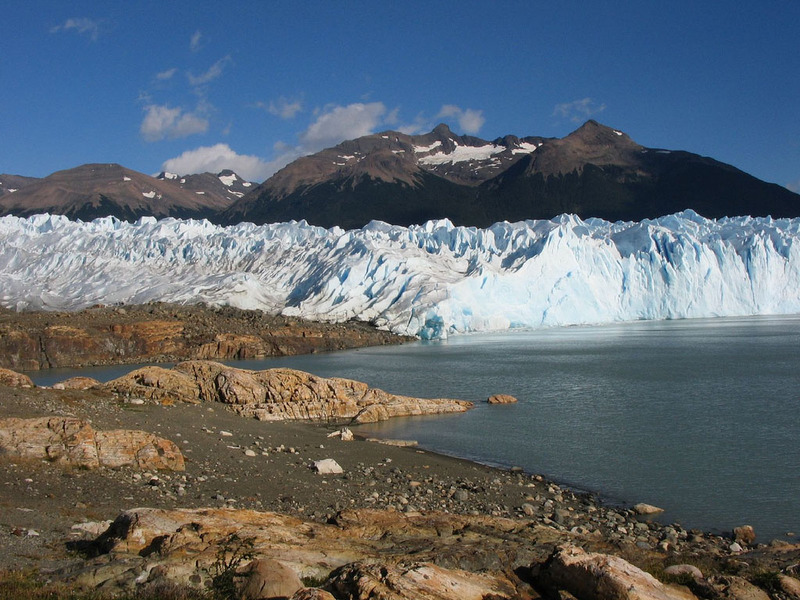 The deepest part of the glacier measures 2,297 feet (700 m). 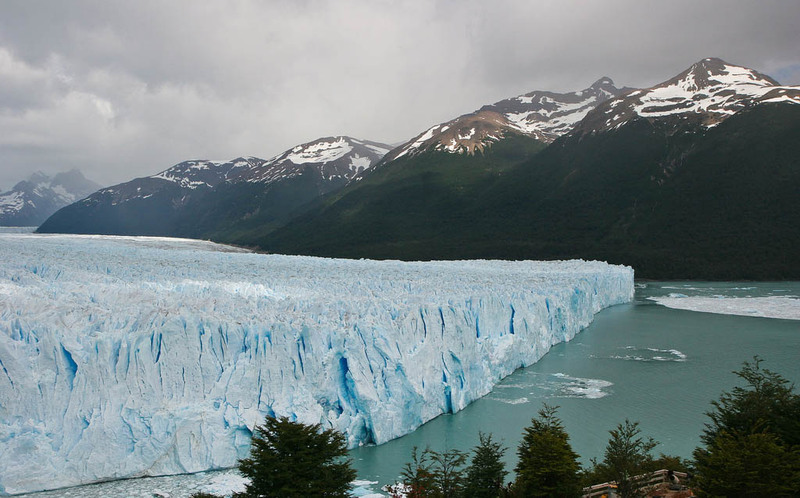 A huge glacier that is still moving and growing at the same time.